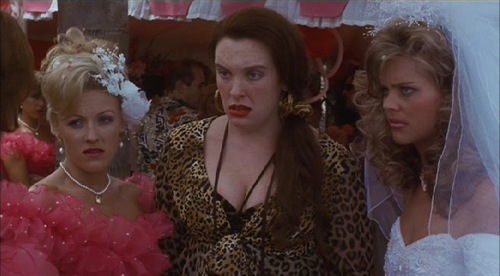 Australian film Muriel’s Wedding has somewhat of a cult following. It stars Toni Collette as Muriel, an overweight, awkward woman who loves ABBA, has terrible friends, and is mistreated by her politician father (Bill Hunter). She dreams of having a huge wedding one day and leaving her hometown, Porpoise Spit, behind. She reconnects with her old friend Rhonda (Rachel Griffiths) and the two set off for Sydney. This is a hilarious comedy, probably my favorite from the 90s. It is wonderful to see Collette and Griffiths, two Australian actresses who have found a niche in American television, in one their early roles. If nothing else, you’ll gain a new appreciation for ABBA. More information on the 30 Day Film Challenge here. Attention all you recent college grads who can’t get to sleep at a decent hour because of the stress of trying to get your life in order (thanks crappy economy!). TeenNick is coming to the rescue! Beginning this fall TeenNick is launching a new midnight-to-2 a.m. programming block –The ’90s Are All That. This is your chance to rewatch all your favorite shows like Rugrats, Kenan & Kel, Pete & Pete, The Amanda Bynes Show, All That and Clarissa Explains It All. This the best fall programming news yet. Why should I waste my time with the new shows the networks are trying to shell out when I can just spend my late nights with Clarissa Darling or Pete & Pete? My one request: Please let the ’90s version of Veronica Mars, Alex Mack, make an appearance! Judy Craymer, the producer of Mamma Mia!, is planning a Spice Girls musical. Craymer and Spice Girls manager Simon Fuller are working together on the musical for London’s West End. The working title is Viva Forever. Now this is a musical I would love to see. As a product of the 90s, the Spice Girls defined my childhood. I even went to see their reunion tour in 2008. This musical is great and fun way to celebrate the band, who will never ever have another world tour.